← Why Would You Want to Live in Anamoose? “Its that time of year again! Time to rake leaves, mow the grass, trim around trees and buildings, plant gardens, clean out the garage and/or basement, and basically just spruce it all up for summer.” This is the first paragraph from a letter I received in early May from the Anamoose City Board. They outlines ways they would help us clean up our yards, plus ordinances regarding keeping our properties cleaned up. They set May 16-23rd as Clean Up week. 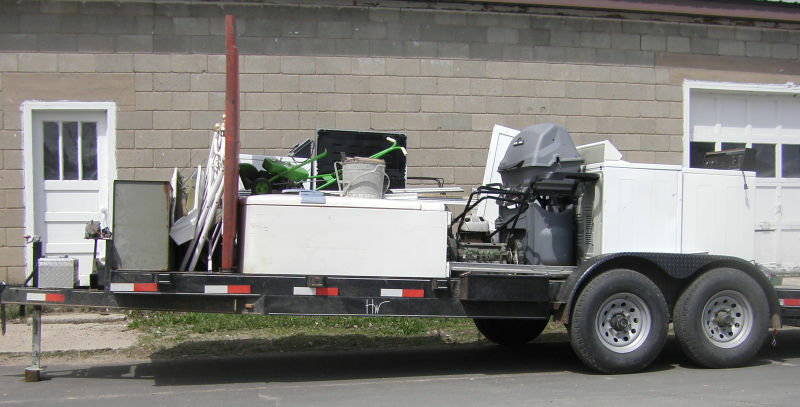 It started Saturday, May 16th with a Dead Appliance Pick-up Day. As in previous years, a construction dumpster was parked behind the Historic Bank. As you can see it was filled to overflowing. 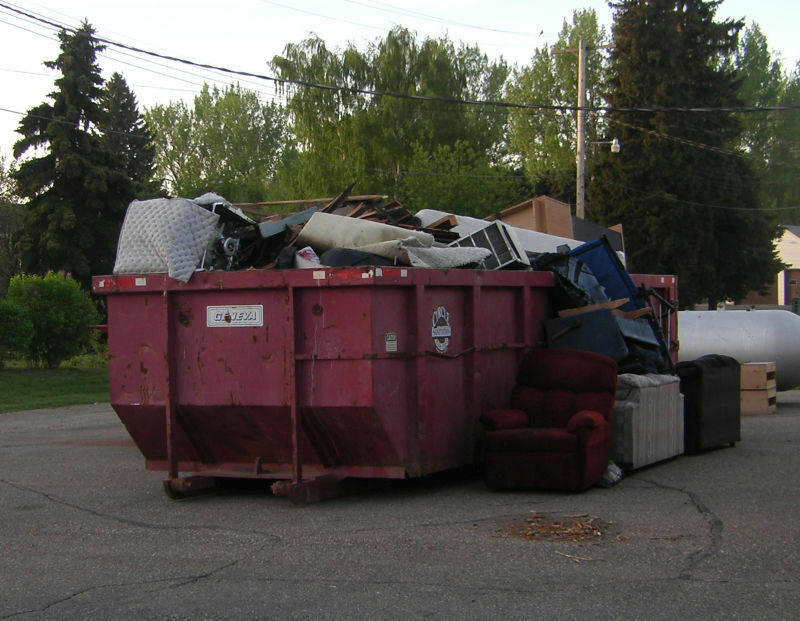 The city dump will be open Friday, Saturday, and Sunday from 10am-2pm through June 15th for lawn and garden waste, concrete, and wood with no paint and tree branches. Friday, May 23rd the grade kids were out picking up liter in Anamoose. Last Monday Civic Club & Happy Feet members cleaned up the ditches on Highway 52 out to the new Agronomy Center. 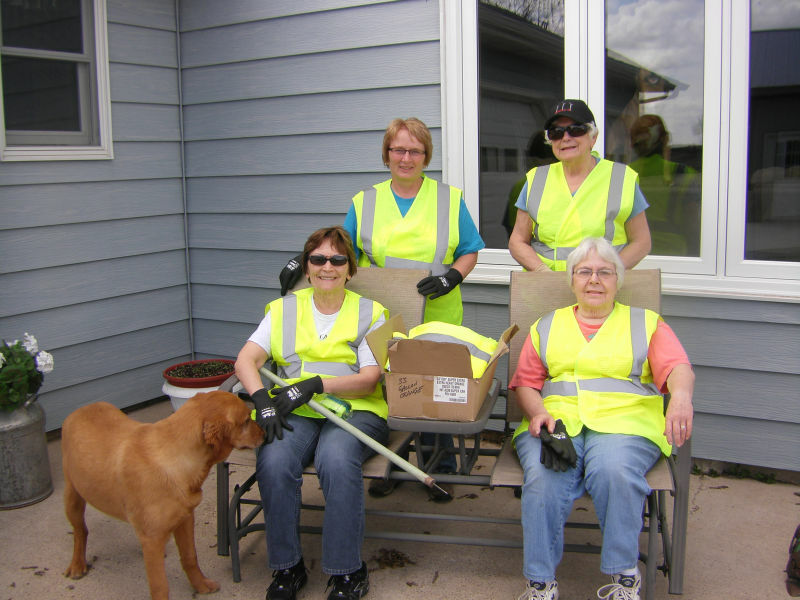 Pictured are: (Standing) LindaDusek, Janice Buchholz (Front) Sandy Cartwright, and Phyllis Zimmerman waiting for Norma Martin and JoEllen Ehrman. We didn’t find too much liter as we had picked the ditches in the fall.